Unfortunately the beauty industry is not regulated so we have a lot of companies that make products that are–err–not great for you and may actually cause harmful side effects. That is especially true with SPFs out in the market today. The same chemicals that are put there to “protect” the consumer from harmful rays and damages might actually expedite the process– Yikes! Cue in the natural sunscreen on a white horse on the beach! (yes, the whole image is a must). We have taken the time and effort to curate a list of natural mineral sunscreens that we know you and your loved one’s will be into! The CEO created this line after losing her mother to skin cancer. She has since committed herself to creating products that serve the customer without the added chemicals. The formula is hydrating, protective, and it smells amazing (like oranges mmmm)! 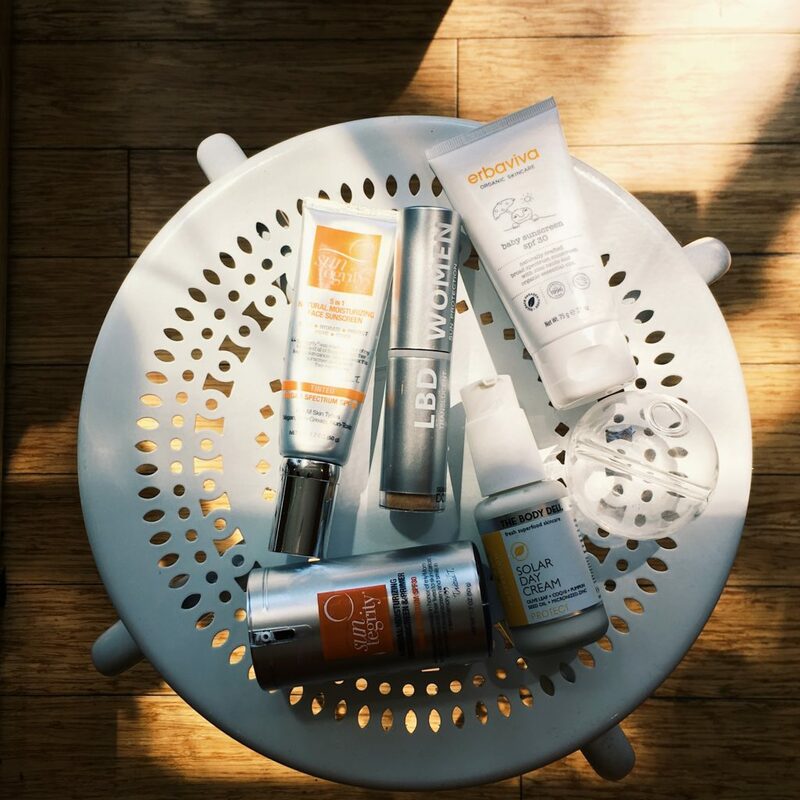 All of the aforementioned products have a SPF of 30 which is an essential number for decent sun protection. Perfect for those who have dry skin. This mother-daughter duo started their own brand to address the issues they had encountered when shopping for skincare/cosmetic products. This minimalist sunscreen is stripped down to only four natural ingredients. This beauty can be dusted on bare face or used to set any foundation giving you an SPF of 50. LBD is perfect for those who have sensitive skin types because of its limited ingredient list, and even oily skin types because of its powder formulation. We love small batch organic natural products and Body Deli is one to love! There products are always fresh and effective. This sunscreen uses 20% zinc oxide with other natural healthy ingredients like Sunflower Seed, Olive Leaf, Pumpkin Seed, Green Tea, and Rice Bran. The texture is lighter than your traditional sunscreen and because of that we recommend this one to oily skin types . This natural zinc oxide sunscreen does the job without leaving white residue on your skin! It’s water resistant for up to 80 min and provides UVA and UVB protection. There are anti-inflammatory ingredients that are sensitive to your baby’s skin as well as yours with Lavender, Chamomile, and Aloe Vera in the mix. We recommend this sunscreen for all skin types!